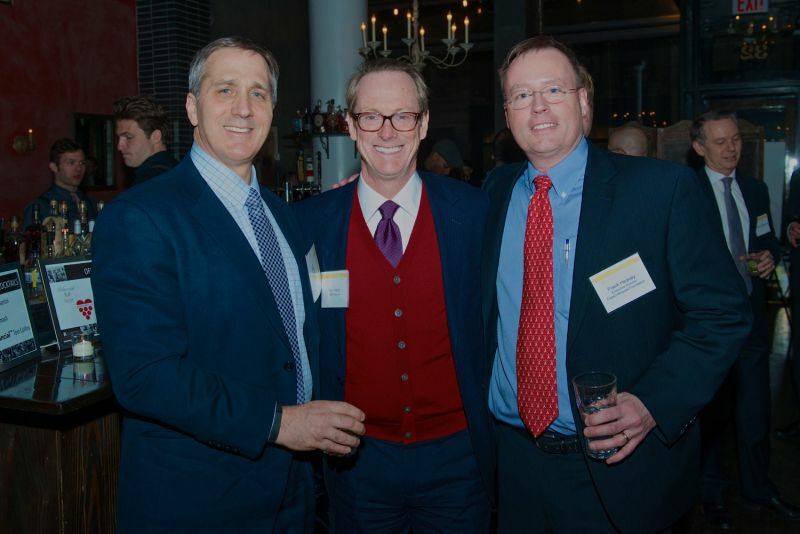 With Interactive Data as Presenting Sponsor, Expect Miracles Foundation launched its inaugural event in New York City on February 24. Expect Miracles in Manhattan brought together New York's prominent financial services community for a spirited evening of conversation and cocktails for a crucial cause – fighting cancer. 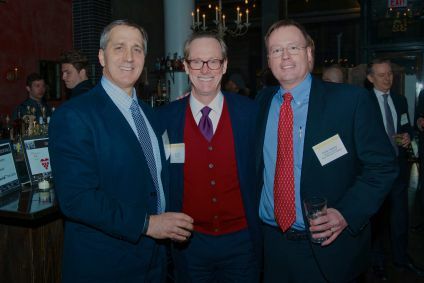 The Foundation hosted executives from over 50 top financial firms at this sold-out event with sponsors including Interactive Data, BNY Mellon, Schroders, and Voya Financial. Attendees had the opportunity to network with fellow executives at Harding's NYC over a "Made in the USA" bar featuring craft beer from New York's own Newburgh Brewing Company, wine courtesy of Good Wine Makers, cocktails from Tito's Handmade Vodka and Bluecoat Gin, and a special tasting room featuring Hudson Whiskey. All guests were entered to win a door prize of a pearl and diamond pendant graciously donated by the Jewelry Partner, DeNatale Jewelers. During the speaking program, Frank Strauss, Founder and Chairman of Expect Miracles Foundation, thanked the many sponsors and partners for making the evening such a success. Frank Heavey, Executive Director, proudly announced that the event raised over $50,000 to support Memorial Sloan Kettering Cancer Center's Center for Experimental Therapy. * The mission of the center, Heavey explained, is “to promote research into promising new therapies and speed the translation of discoveries from the laboratory to the bedside.” He encouraged the guests to join the rally within the industry to “bring about transformative change.” If you did not have a chance to contribute, and would like to make a donation, you can do so here. With overwhelming support for a new event, Expect Miracles in Manhattan would not have been possible without our dedicated New York Committee and volunteers. On behalf of the entire Expect Miracles Foundation team, we thank you for taking part in an unforgettable night and hope to see you next year!